Take part in an initiation to Chi Kung class at Ten Wan school! This award is valid for attending a class (Tuesday or Thursday from 6:00 to 8:00 pm) given by the experts of our team. We will send you a (virtual) voucher and you will be able to attend 1 class during the next 12 months. Have you always wanted to try acupuncture but have not been able yet? This prize is for you! Come relax and receive an excellent acupuncture treatment in the comfortable community acupuncture room. Come and enjoy a session in the community room with a friend and see one of the benefits of working in this way: well-being gets multiplied when it is shared! This award is worth 4 classes of Kung Fu or Chi Kung training in the Ten Wan gym. The classes are suitable for all levels, the hours flexible and you can attend 4 classes during one month. If the needles are not your thing, but you want to improve in health, come to receive a massage, treatment with cupping, or session with moxibustion of 30 minutes by our team. Is it time to make an investment in your health? Do you have insomnia, muscle pain, digestive problems, anxiety ... 4 sessions can help a lot! We will send you a virtual bonus and you can go to the room to receive 4 sessions when it suits you. Receive our sincere thanks for supporting this project! We will send you (in digital format) a photo of the team in the community room plus a guide full of healthy changes that you can incorporate into your day to promote your vitality. Small changes have great effects on our health! Learn breathing exercises, dietary changes and habits that will make you strong and healthy. This reward gives you something unique; a key chain with the Choy Lee Fut Chan family logo handmade in brass! Shipping only in the Iberian Peninsula. With this prize you will get something unique; a keychain with the Choy Lee Fut Chan family logo handmade in brass! International shipping is included with this award. Receive our sincere thanks for supporting this project! Learn breathing exercises, dietary changes and habits that will make you stronger and healthier. We will send you (in digital format) a photo of the team in the community room + a guide of healthy changes that you can incorporate in your day to promote your vitality + a video of of chi kung exercises that promote a strong back. Little changes have great effects on our health! 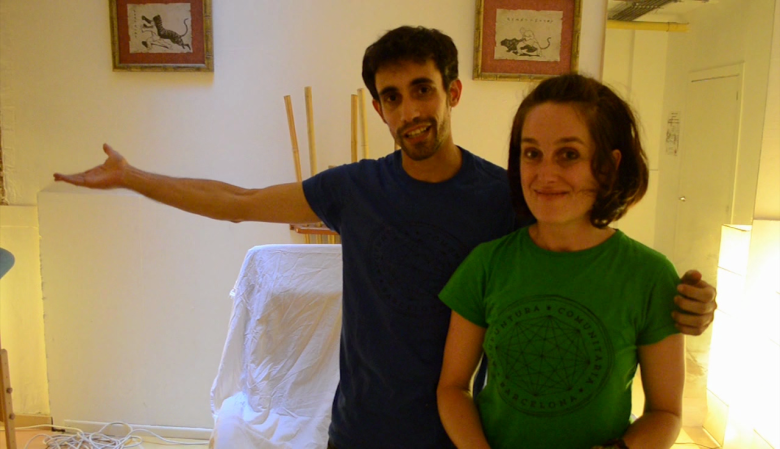 Help fund the opening of an affordable Community Acupuncture Clinic in Barcelona. Cost of the construction and installation (by a local carpenter) of the furniture necessary to comply with regulations of the confidential patient data base. This cost is for installing a door that will isolate the acupuncture room from the weather. The actual door is insufficient. This cost is for the installation of a smoke extractor that will permit us to use the wide range of techniques available in TCM while maintaining optimum air quality. Creating a calm environment in the community room is essential. This cost is for the materials necessary to isolate the wall that communicates with the gym and to soundproof the pipes that pass through the room. This expense counts only the material, in order to lower costs we would do the labor. This cost is to change the electrical installation of the room in order to work comfortably. This cost is for the construction of furniture for storage of clinic material: stoves, blankets, reference material. Additional expenses derived from the crowdfunding production through the Goteo.org platform and additional expenses of the bank commissions in case of reaching the optimum. This cost is for the installation of a false ceiling in the community room to cover the pipes and other elements that pass through the room. This cost is additional, although for both soundproofing and for air conditioning, it is an important aspect. This expense is for installing air conditioning in the large room with adequate capacity for the space. Cost of creating marketing and sales elements necessary for advertising the project: corporate image, digital platform development, printing of labels, leaflets, and marketing material. Additional expenses derived from the crowdfunding production through the Goteo.org platform and additional expenses from bank commissions. An average investment of € 50 per month will be necessary to promote our service and reach new users through social networks. This amount corresponds to the investment required for one year. This cost is for hiring the labor of the renovation work in the room. If we get to the optimum amount asked for, we would hire experts to do the work in the room. If not, we will do the jobs with the help of collaborators. A fundamental aspect of the room is the comfort, this expense is related to the necessary material for it: musical equipment, curtains to divide areas, doors that allow natural light in the room. This cost is for an investment in the material necessary to do acupuncture during the first 6 months. 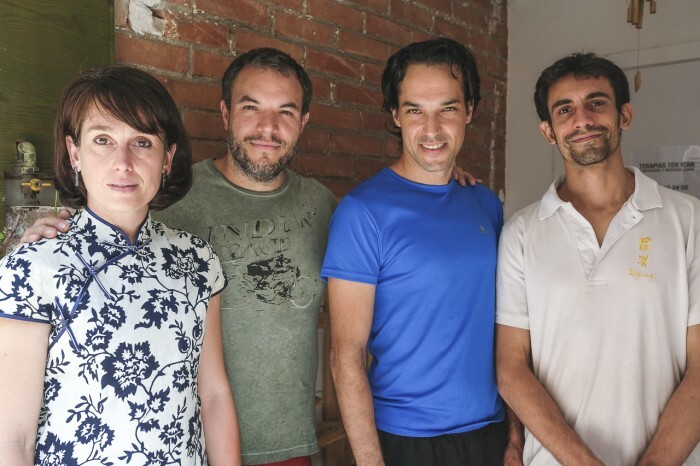 With this project we want to finance the renovation necesary to offer a community acupuncture service in a center where we currently work with Traditional Chinese Medicine. Acupuncture is a therapy able to address common health problems and is has high esteem by the general public but unfortunately, because it is in the private health sector, it's use is restricted to the users purchasing capacity. It forms part of the Traditional Chinese Medicine sistem which encompasses health in its broad sense (physical, emotional and psychic), and as such, is a perfect complement to alleviate symptoms difficult to treat in our current medical sistem. The Community Acupuncture room that we want to open will have a different format to the usual one that will help eliminate barriers that prevent people who could benefit from this therapy from using it. Offers the treatments in a comfortable shared space that allows the costs of consultation to be reduced without compromising the quality of the service provided. Uses a flexible price scale (€15-30) where the user decides how much they wants to pay without having to give explanations. It offers very flexible appointments, and the possibility of a drop-in service. It offers a friendly service that aids it's use by people not accustomed to alternative therapies. It permits the use of the room accompanied by someone you know, helping to create health advocates in our comunities. Another important aspect of the project is that it will help to disseminate the benefits of Traditional Chinese Medicine, which although it is increasingly well known, is still wrapped in an air of mystery that limits its use. With the community room we will try to bring this preventive and ecological therapy which has virtually no collateral effects, to people who for lack of knowledge have not yet tried it. The objective of this crowdfunding is to finance the renovation of our clinic in order to provide this new acupuntcture service and to fund the publicity of our new service. Why do we bet on Community Acupuncture? The usual price of an acupuncture session is €45 requiring a minimum of 1 session per week for 1-2 months to obtain the desired results (sometimes more sessions are advisable). This causes the effectiveness of the therapy to be conditioned by economy. In the community room, the price per session will be flexible, between 15-30 € according to the capacity of the person using the service, allowing the sessions to have the continuity and duration necessary to effectively solve the problem. sharing the administrative costs with other people reduces the price of the acupuncture session. is accesible to people who want to learn to take care of their health. Allows patients to share their experience with someone they know. This working format allows us to increase the effectiveness of the treatments without affecting their quality. Adjust the cost of the treatment. A consolidated and experienced team of professionals. 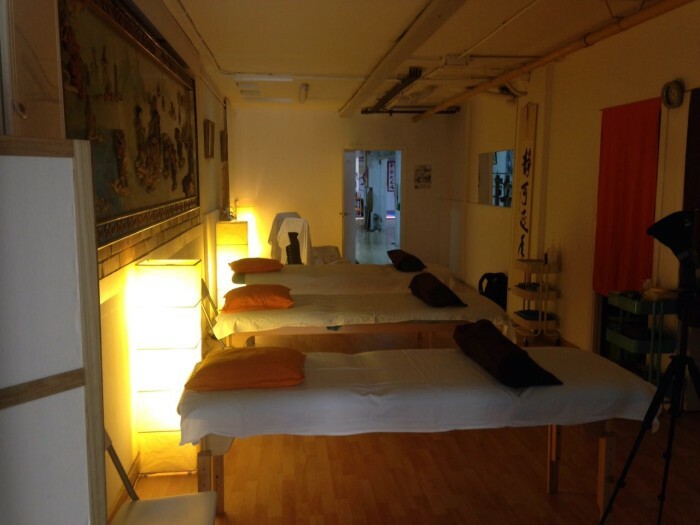 A clinic space that is currently active and devoted to Traditional Chinese Medicine. 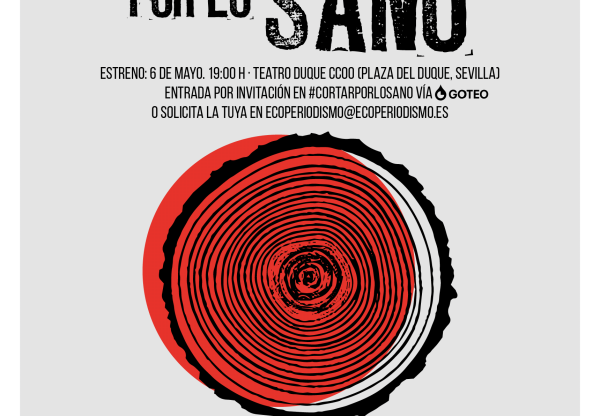 Experience in cooperatives and social movements. Building furniture to organize the new service. Install a door that isolate the space from outside. The renovations are essential for the startup because the success of the new service depends on the comfort of the room. The minimum amount we ask for in the crowdfunding, is only for the expenses of the materials of the reforms. The maximum price allows us to hire professionals to do the necesary tasks. Another indispensable aspect to the viability of the project is a solid base of users to maintain a high occupation of the room. Another portion of the budget will be used to make a marketing and advertising campaign during the first year. Our principal motivation is to provide a service that allows acupuncture to be part of everyone's health kit, breaking the barriers that prevent the general population from trying it. We want health be something that is talked about, so we want to provide a health service where the patient decides how they wants to heal. Being socially motivated in a society where acupuncture is part of private medicine is complex. The high costs and difficulties of being an autonomous worker, added to the need for continuous education that this profession entails make it difficult to leave the cycle of working to pay the expenses of being able to work. With this project we seek to create a clinic model with good jobs while offering a quality service to the general community. We would love to see an acupuncture clinic in each neighborhood! We want this project to reach the entire community: acupuncture works, it forms part of preventative health, it's ecological and has no side effects. The people who lead this project, we are also part of a larger team. Ten Wan Center is a school of martial arts and Traditional Chinese Medicine, which has been promoting health locally and internationally for years, and has a broad membership base. Kevin Albors is an acupuncturist, professor of Traditional Chinese Medicine, Kung Fu and Chi Kung Master . Over the last two years he has been the director of the Mutual Health of Roger de Lluria and is currently in charge of the section of Traditional Chinese Medicine at the Ten Wan Center. Kevin has been planting seeds of health in Barcelona for years and has the support of many future clients for the community room. Monica Richardson is an acupuncturist, instructor of Kung Fu and Chi Kung, and teacher of preventive health classes. In 2016 she opened a pilot community acupuncture clinic with great success. Monica has been involved in collective and social projects in Barcelona for years, and has experience in communication and project management. This project aims to break the mystery that minimizes the use of acupuncture by offering it in a pleasant format, with an affordable price and using the philosophy of community health. We want acupuncture to be part of the health kit of all the people who need it!